Occasional chairs can be used throughout your home, in your lounge, on the landing, or in your bedroom. 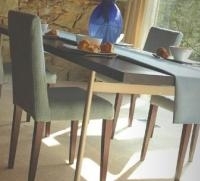 But a number of our designs are just as suited for dining and entertaining. Why not consider a set of mixed chairs or why not create a spectrum of colour and design by making each chair a distinct individual?